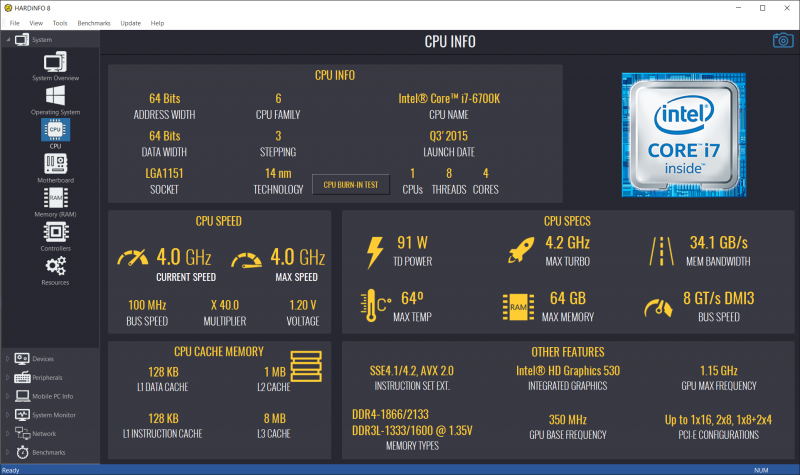 View what's inside your computer, benchmark your PC and compare with other results. 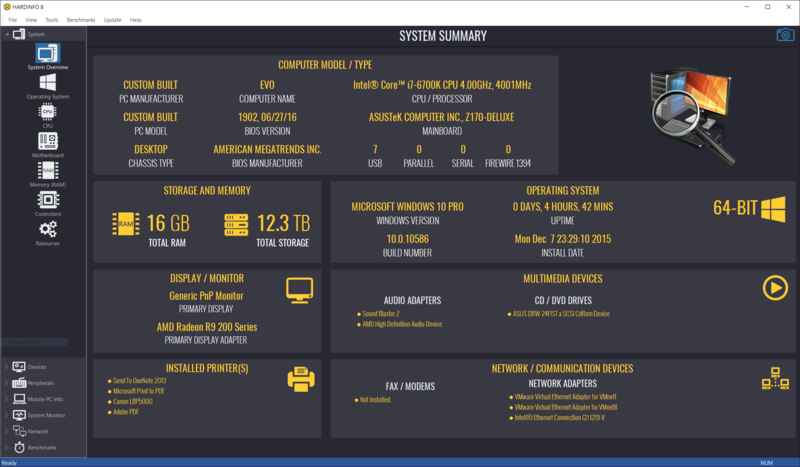 Get detailed system information about your PC hardware components and peripherals, like; CPU, Memory, Motherboard, Display Adapter, HDD/SSD Disk Drives, Monitor, Notebook Battery, Operating System Drivers and more. Test your PC Performance with Advanced Benchmarks and compare the results online with other benchmarks. HARDiNFO can test the performance of your Display Adapter, CPU, Memory, SSD/HDD, USB Memory Sticks and more. 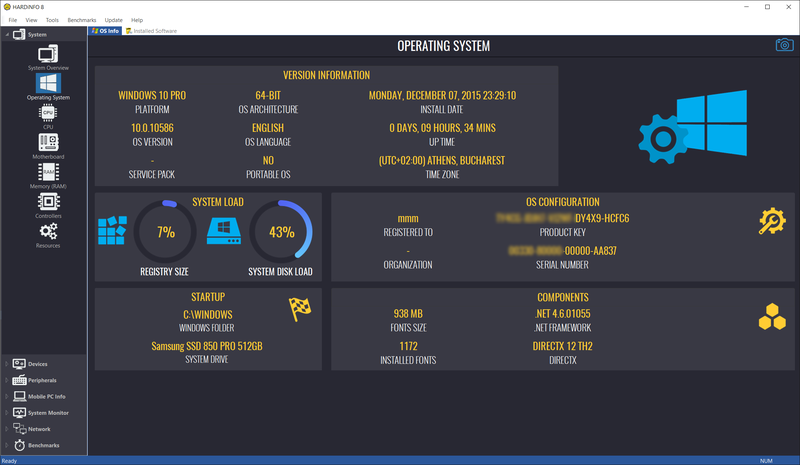 Monitor your Computer hardware, services, processes, drivers, network and notebook battery. HARDiNFO includes an advanced Network Traffic monitor and Notebook Battery charge/discharge monitor to analyze the battery health.